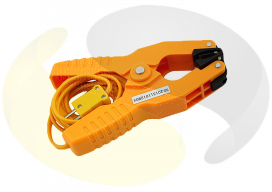 Mini crocodile clip thermocouple for easy attachment to surfaces up to 6mm in diameter. 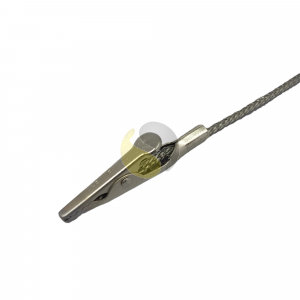 Our crocodile clip thermocouples provide a convenient way for applications where quick connect or disconnect is required. The stainless steel crocodile clip can be clamped on to surfaces up to 5mm in diameter giving direct contact for fast response temperature measurement, allowing hands free testing. 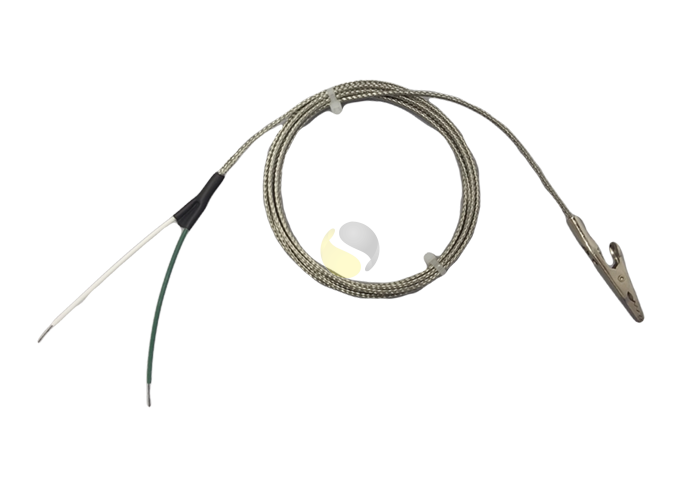 They are supplied with 2 metres of flexible glass fibre insulated, stainless steel over braided, stranded thermocouple lead wire. 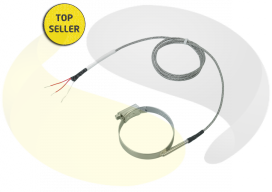 The sensor is suitable for use up to 400°C and comes complete with 75mm long tails. 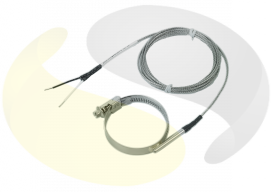 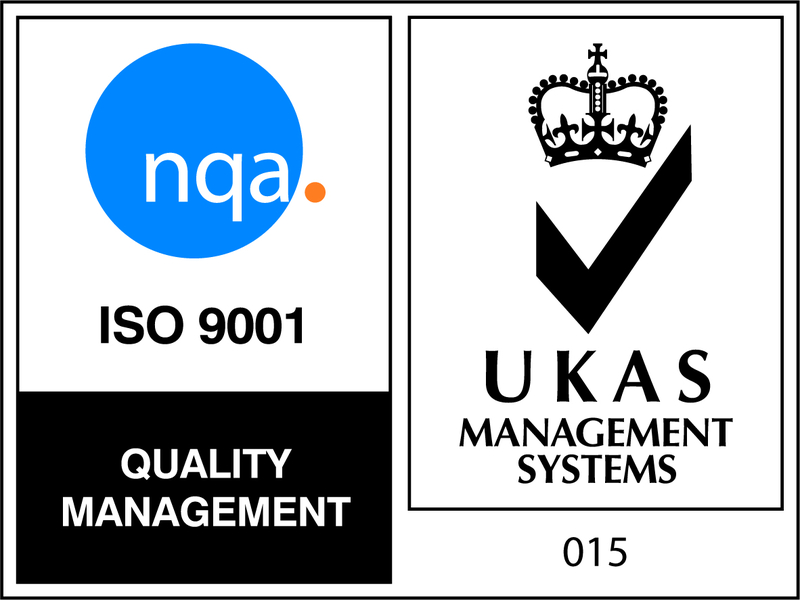 It can be made to any length to suit your application or where longer cable runs are required.